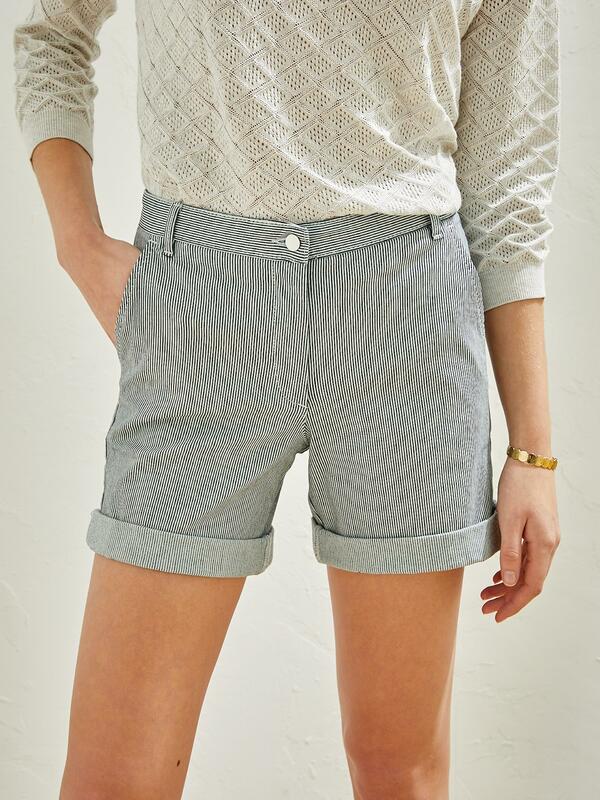 For strolling pleasantly through the city, the chino shorts are striped this season. Waistband with belt loops. Zip and button. 2 slant pockets at front. Darts and 2 piped pockets at back. Cuffs. Inseam 17.5cm, leg width 30cm approx.